Back in 1967, Bobbie Gentry sang a haunting song about young love and sad endings in the Deep South. BOBBIE GENTRY: (Singing) It was the third of June, another sleepy, dusty, Delta day. SIMON: That song, about whatever happened on the Tallahatchie Bridge, was the No. 1 single for three weeks. 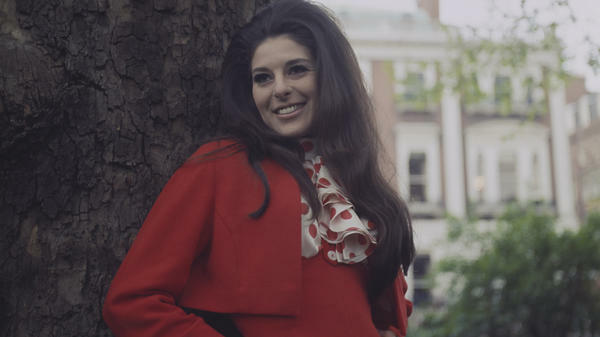 A year later, Bobbie Gentry released a country rock opera. It hardly sold at all, but it's since become a favorite of collectors and musicians. It's called "The Delta Sweete." GENTRY: (Singing) All in all, there's not a half-grown man who wouldn't like to be in the Okolona River Bottom Band. SIMON: Now the band Mercury Rev is giving a cult classic a new tribute with some of today's great female singers, including Margo Price, Beth Orton and Norah Jones. NORAH JONES: (Singing) All in all, there's not a half-grown man who wouldn't like to be in the Okolona River Bottom Band. SIMON: "Bobbie Gentry's The Delta Sweete Revisited" includes liner notes that are written by David Fricke, the senior editor of Rolling Stone. He's in our studios in New York. Thanks so much for being with us. SIMON: And Margo Price joins us from Nashville Public Radio. Thank you so much for being with us. MARGO PRICE: Yeah, thanks for having me. SIMON: David Fricke, why do you call this - I believe the quote is, "one of the greatest albums you have never heard?" FRICKE: Because that is exactly what it is for most people and even for people who really loved "Ode To Billie Joe." She made this record, it came out, and it absolutely died on arrival. As I mentioned in the liner notes, it's as if Billie Joe had come out of the Tallahatchie River and thrown this record off the bridge instead. It was like it just completely disappeared. SIMON: Margo Price, all of this happened before you were even born, I guess. PRICE: Yeah, I suppose it did. SIMON: So how did you even ever hear "The Delta Sweete?" PRICE: Well, you know, of course, I was introduced to Bobbie Gentry the way that most people were, and it was through "Ode To Billie Joe." But I became a huge fan of her work. SIMON: Let's listen to a bit of the song that you have reinterpreted for this album. This is "Sermon." PRICE: (Singing) Let me set the mood, set the situation. Imagine that you're sitting in a congregation. Hey, he's talking 'bout judgement day, listen real close, hear what he say. Better run on for a long time, run on for a long time, run on for a long time. God Almighty's gonna cut you down. SIMON: I was going to ask you why did you want to do this song, but just hearing that I think I know why you wanted to do this song. PRICE: Yeah, it was a lot of fun to go into the studio and kind of put my own spin on it and ended up stacking a lot of vocals on there, three or four-part harmony. SIMON: Yeah. What connected with you about this song? PRICE: You know, I think that it's a song about the truth and it's an old gospel song, and it's kind of about karma and getting what's coming to you. SIMON: David Fricke, another song you'd like to call our attention to? FRICKE: Well, actually, I was listening to it again this morning, and one of the songs that struck me was "Parchman Farm." CARICE VAN HOUTEN: (Singing) My man's over there on Parchman Farm. FRICKE: Because it was written by Mose Allison. And when you listen to Bobbie Gentry do "Parchman Farm" and then to Carice van Houten, who does it here on the Mercury Rev treatment, when a guy sings it, you know, it's a blues song. When a woman sings that, it really turns it around like, well, yes, this is a much greater crime than you realize and you're actually doing the time. VAN HOUTEN: (Singing) Well, he's going to be there for the rest of his life, and all he ever did was shoot his wife. FRICKE: The way the lyrics, the song writing and even the way Bobbie treated these old blues covers and then gives it a depth and an orchestration that really takes you to another place, this is a genuinely psychedelic record. SIMON: Margo Price, we talked about "Sermon." I wonder if there's another track you'd like us to hear as well. PRICE: Well, of course, I love Lucinda Williams' "Ode To Billie Joe." LUCINDA WILLIAMS: (Singing) It was the third of June, another sleepy, dusty, Delta day. SIMON: Lucinda Williams' version of "Ode To Billie Joe," we should explain, was - obviously, "Ode To Billie Joe" was separate from "Delta Sweete," not on the original "Delta Sweete." But let's listen to - because very few artists have had the audacity, what we might even call the chutzpah, to reinterpret "Ode To Billie Joe." Let's listen to a little bit of this. WILLIAMS: (Singing) Today, Billie Joe McAllister jumped off the Tallahatchie Bridge. SIMON: So what happened at the Tallahatchie Bridge? (Laughter). FRICKE: Something really, really grim. SIMON: Pass the biscuits please, right? PRICE: Right, yeah. And I love that interplay between just the simple narration. And I don't think many people had done that up until that point of just that everyday conversation. But yet in the back there's this murder ballad or, you know, this suicide story that's going on. WILLIAMS: (Singing) And wasn't I talking to him at the church last Sunday night? I had another piece of apple pie. You know, it don't seem right. SIMON: Bobbie Gentry is still with us but stopped performing in the 1980s, more or less. Reportedly, she lives in a gated community outside of Memphis, which, by the way, is reportedly two hours from the Tallahatchie Bridge. David Fricke, what do you think "Delta Sweete" meant to her? FRICKE: I think it was a very profound demonstration of her authority. This was a really extraordinary moment in which a woman really took control of making a great and actually inspirational, influential country record in an industry that was very, very paternal. SIMON: Margo Price, have you had any contact, so much as a text message, from Bobbie Gentry, ever? PRICE: Oh, no. I mean, if I did, I sure would be thrilled. But, you know, I think - of course, I can't speak for her in any way, but I think that, you know, the music industry probably broke her heart. She wasn't really respected for the literary genius that she was. I don't know. I absolutely adore her. I hope she's doing well. SIMON: "Bobbie Gentry's The Delta Sweete Revisited" by the band Mercury Rev is now available. David Fricke of Rolling Stone, thanks so much. SIMON: And Margo Price, who is on the album, thank you so much for being with us. PRICE: No, I appreciate it. PRICE: (Singing) Tell the rambling, gambling, back-biter. God Almighty's gonna cut you down. Transcript provided by NPR, Copyright NPR.